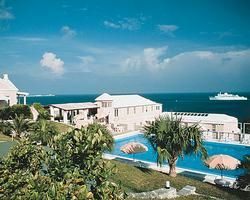 If you’re looking for a warm climate, fun atmosphere and lots to do, look no further than Bermuda. Staying in a timeshare is often the best way to save money while having access to amenities you just wouldn’t get at a hotel. Bermuda offers pink sandy beaches, culture, and even a few caves for those who enjoy swimming. Come visit and make memories with your family. Playing or relaxing on the beach is a great way to spend your day in Bermuda. Visit Horseshoe Bay for captivating beauty, or go to Jobson's Cove for a picture perfect private beach. After a busy day, go back to your timeshare and relax for a few hours. Get ready for dinner, or order room service for a private evening. 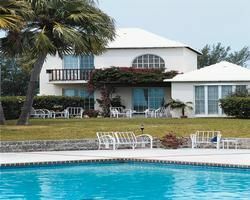 If you’re looking for a resort close to the beach, rent or buy a membership to St. George’s Club. It includes amenities such as three pools, golf course access, tennis courts, scooter rentals, and a small gym. Stay in a resort that offers all the amenities of home, and a few special touches that make it feel like a vacation. No matter what time of food you and your family enjoys, you’ll find it in Bermuda. From fast food, to five star restaurants you will never run out of options. Having a picnic with your partner or children on the beach is a great way to have fun as a family. Grab a quick lunch or sit down to exquisite cuisine and enjoy your time together. Stopping by a local market and picking out ingredients to a local recipe, then going back to your timeshare with a kitchen to cook is an easy way to make memories with the ones you love. Children will enjoy the water activities on the beach. Let them play with the water toys or build sandcastles by the ocean. If you’re looking for educational opportunities, take them on a tour of Fantasy Caves. If they are interested in marine life, let them explore the Bermuda zoo, museum, and aquarium. Many of the tours offered include children, just be sure to check the age limits so no one is disappointed. Are you looking for somewhere romantic? If so, Caribbean timeshares have many options. Taking a tour of the caves, going snorkeling or just relaxing on the beach is a great way to make memories with the one you love. The villas offered at St. George Club offer gorgeous views of the ocean and privacy. Staying at a resort leaves you with many possibilities. Whether you’re looking for a local hang out, dancing, or even a place to watch sports, there is a bar for you. If you’re looking for something more low key visit a lounge or wine bar for a romantic evening. Come visit Bermuda and experience all that she has to offer! The beaches are some of the top ranked in the world. You won’t be disappointed in what you find. If you’re not interested in buying a timeshare, think about renting instead. Contact us today and we will help you decide what is right for you and your family.